Looking for the ideal place for your trip on the Pink Granite Coast? Put your bags down at the Brit Hotel Golfhotel, the doors of our Pleumeur Bodou hotel are wide open! Enjoy the comfort of our 3-star hotel in a charming modern atmosphere. Our reception is open from 7 a.m. to 10 p.m. during tourist season and our staff is here to answer any questions you might have. To ensure your comfort, a luggage storage service and a safe-deposit box are available at the reception. You’ll also have access to our private parking for free. Located at the heart of an 18-holes golf course, our Pleumeur Bodou hotel has 50 comfortable rooms among which 10 family rooms and 2 communicating rooms, ideal for a vacation with your loved ones! The Brit Hotel Golfhotel also has 2 disabled access rooms. Each room has everything you need for a successful trip: a flat screen TV with Canal + Sports and Cinema, a telephone, a private bathroom with a shower or a bath tub, toilets and a hair dryer. Some of our rooms even have a magnificent view on the Pink Granite Coast! Whether you come to our hotel with your family or friends, enjoy our golf course and the outside pool (open from mid-June to mid-September). Wake up to a delicious breakfast buffet with a large choice of fresh products. Each product is carefully selected and our goal is to shed light on the local producers in order to boost the region’s economy. 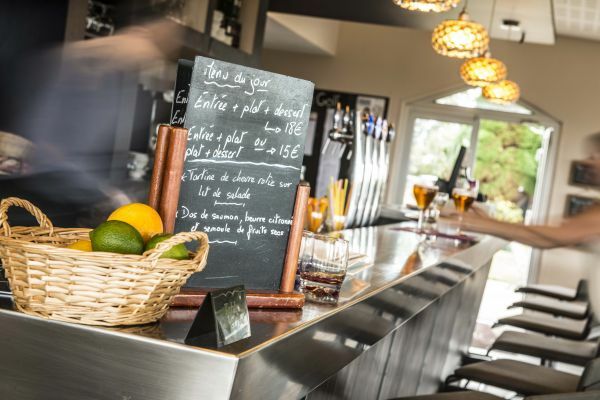 Our bar/restaurant is open all year long for you to relax while trying tasteful dishes or sipping on a drink! Trust us for your professional events: our 6 meeting rooms (between 25 and 120 sqm each) are ideal venues for your seminars, meetings or training sessions. Convinced yet! 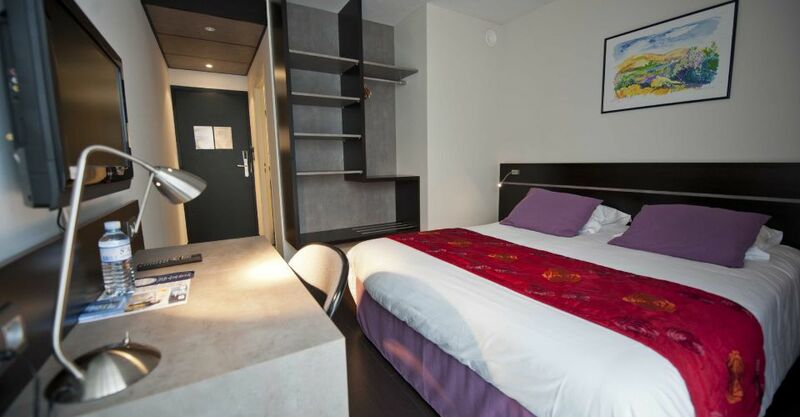 Don’t waste time and book your stay in our Pleumeur Bodou hotel right now!